Manchester United midfielder Paul Pogba is desperate to complete a move to FC Barcelona according to various reports. According to various reports, Manchester United midfielder Paul Pogba has told his team-mates that he is desperate for a move to Camp Nou. The 2018 FIFA World Cup winner has made it known to staff and players that he wants to be sold, just two years after joining the Red Devils from Juventus in a world-record fee of £89 million. The 25-year-old is also believed to have sent a text message to Manchester United vice-chairman, Ed Woodward informing him of his desire to leave. The French midfielder won the 2018 FIFA World Cup and was one of the key performers for the Blues. He has seen the contrast in footballing style at international level and club level and is believed to be disillusioned with life at Manchester United under Jose Mourinho after their relationship deteriorated rapidly last season. Barcelona have shown increased interest in the superstar who has reportedly agreed personal terms with the club and has his heart set at Camp Nou. He is interested in teaming up with Lionel Messi and old team-mate Arturo Vidal who joined the club last week. The Spanish giants recently raised a transfer request for the French midfielder in a player plus cash deal which would include Colombian centre-back Yerry Mina and Portuguese midfielder Andre Gomes with a £45 million transfer fee. Paul Pogba performed exceptionally well as France won the World Cup with him in midfield. At club level, the beast has failed to live up to his then world-record price mark with poor performances over two seasons with the Red Devils. He blames his patchy form to a restricted role and Jose Mourinho's defensive tactics which doesn't enable him to express his true strengths. FC Barcelona have targeted the midfielder all summer with club legend Lionel Messi also getting involved and forcing the board to do anything to convince Manchester United into selling one of their biggest stars. The Spanish giants have gone far beyond into convincing the player's agent Mino Raiola to push for a move away from Old Trafford. Manchester United will now face the prospect of keeping an unhappy player in their ranks which could be unpleasant for a squad looking to turn their poor season around and try to mount a serious challenge for the Premier League title. Manchester United have denied any news of a possible transfer of one of their biggest stars just few days before the end of the transfer window. 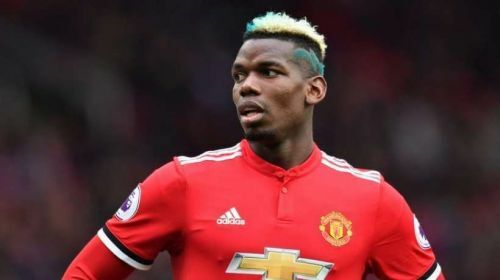 It remains to be seen if they stick with their guns on Pogba or entertain an improvised bid that could involve Barcelona players being offered in exchange before Thursday's Premier League transfer deadline.